My #Nsale Picks! Glitter and Juls | Savannah Life and Style Blog | Affordable Fashion: My #Nsale Picks! It's here! It's here! 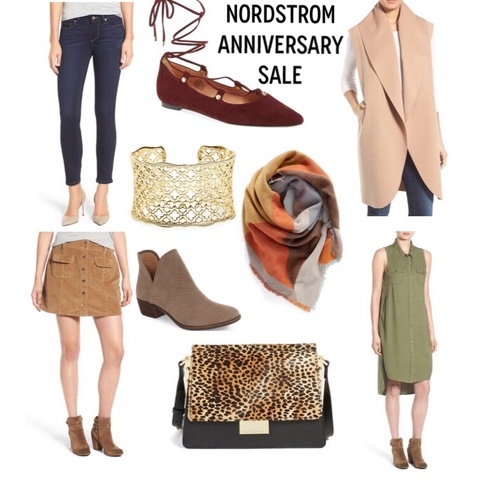 Early Access to the Nordstrom Anniversary Sale is here! Don't miss out on Nordstrom's biggest sale of the year! Take a look at my early access faves! The sale is open to the public on July 22nd so take advantage of this special window if you're a cardholder now! I know it may seem strange to be buying fall items when it's still summer but you won't regret snagging the freshest fall styles at such a great discount. After the sale all prices on these new arrivals will go back to original prices!